JUnit 5 is work in progress! (released 23rd of July 2016). ⇝ Lifecycle annotations have new names. ⇝ @Ignored is now @Disabled. ⇝ Failure message comes last. ⇝ Failure message can be created lazily. ⇝ Tests had to be known at compile time. ⇝ We need to define tests at run time. Dynamic Tests To The Rescue! Allow creation of tests at run time. While we’re hacking…​ what about this? with this one weird trick. Manage a test’s full lifecycle. Execute code before and after statements. We want to benchmark our tests! How do we apply extensions? ⇝ We can create our own annotations! tools provide us with awesome features! I know, I’ll use reflection! Part of JUnit’s success is its great tool support! But the same tools locked development in. 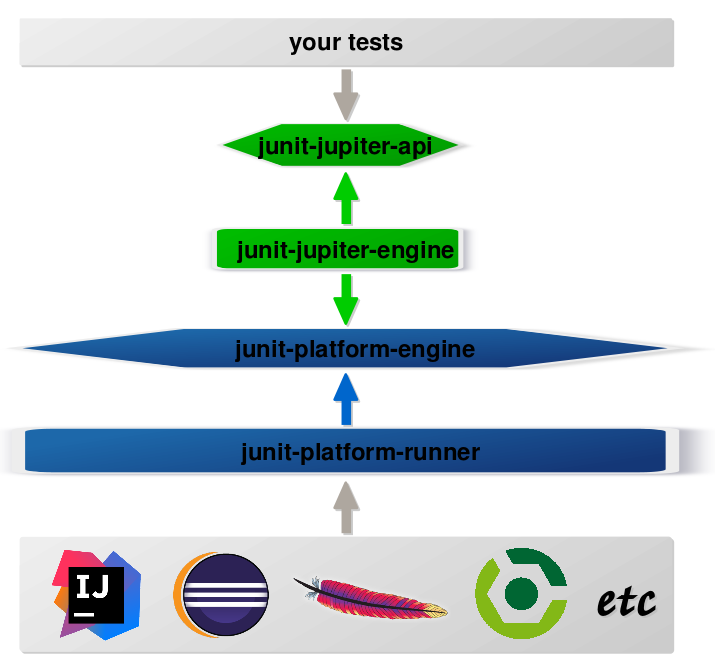 The success of JUnit as a platform prevents the development of JUnit as a tool. Because it opens up the platform! 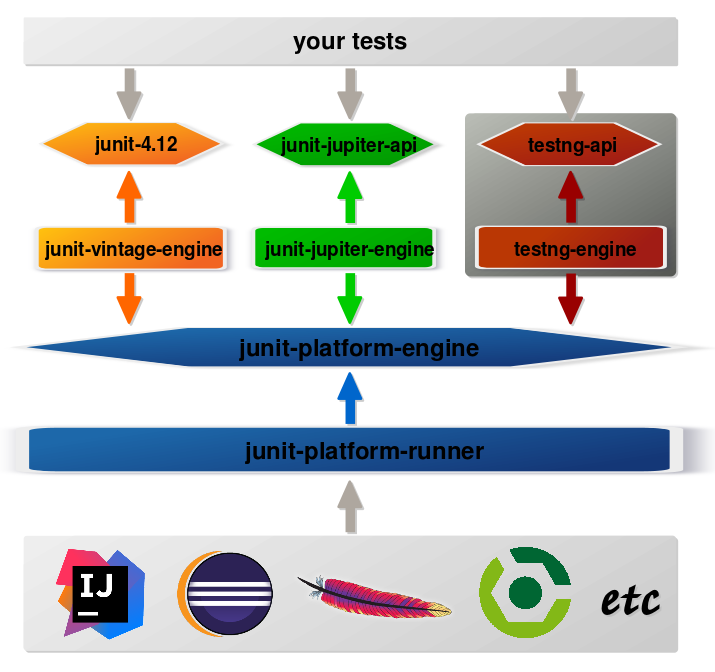 want to run JUnit 4 tests? want TestNG to have support like JUnit? want to write tests in natural language? A new generation of test frameworks might arise! next generation of testing on the JVM!